Atrium Health marked the final phase in the construction of a 165,000-square-foot, four-story heart and vascular tower this past June. CJS is proud to have provided both civil engineering and landscape architecture design services for this project. 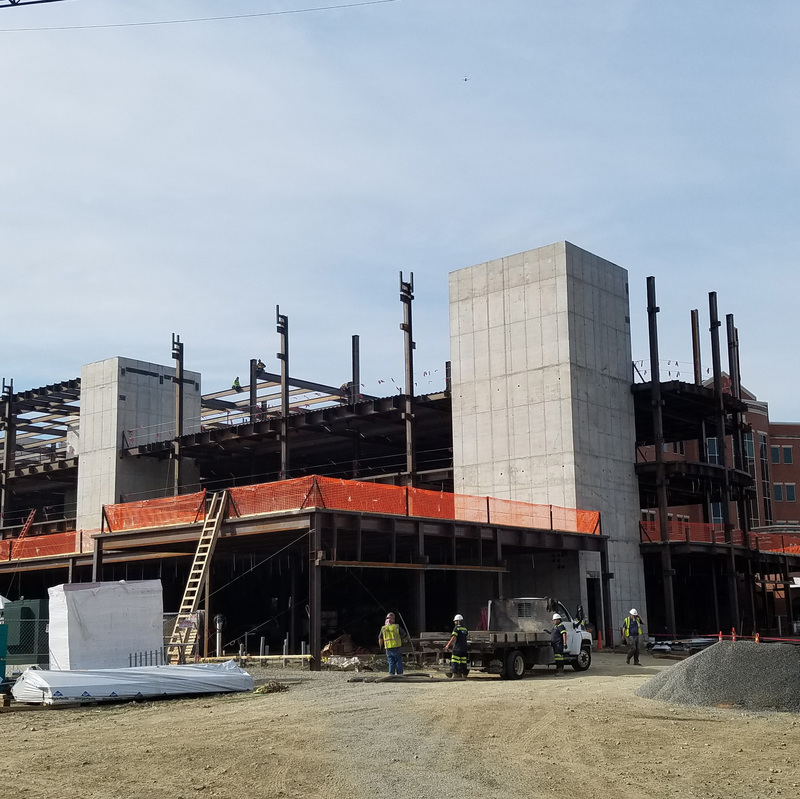 Once the vascular tower at the Carolinas HealthCare System NorthEast site is completed, it will offer interventional radiology and cardiovascular services. Phyllis Wingate, president of Atrium Health’s Northern Division and Carolinas HealthCare System NorthEast, said this new tower brings together the resources of the Vascular Institute in Concord, Charlotte Radiology, and Sanger Heart. The ease of getting in and out of the hospital is especially important in this case because most of the services and procedures are done on an outpatient basis. Carolinas HealthCare System Northeast has a total of 457 beds with this modernization project replacing 60 of those beds for the facility. Health-care workers are set to move into the space sometime this summer. We’re so pleased to have been part of a project that will have such a significant impact on the community it serves.